The first set of 2018 Calendars featuring images that I have created this year has now totally sold out. 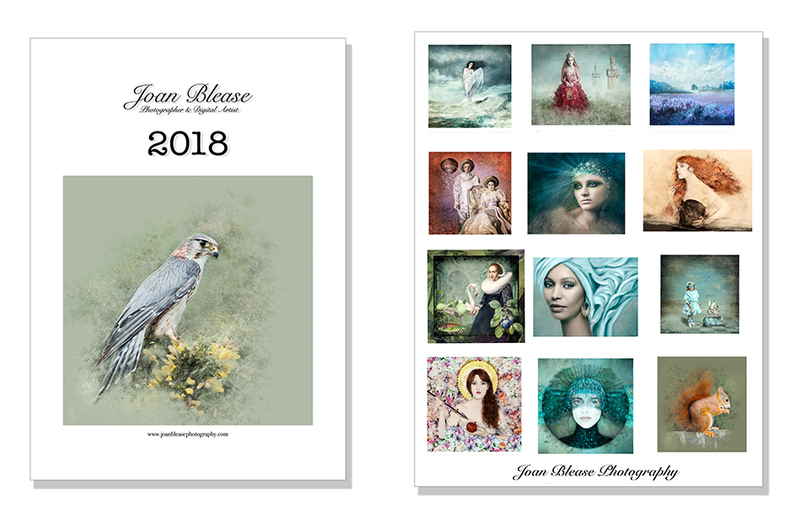 I sold the last of the printed Calendars at the weekend at the event I attended and also had a number of orders from people who were at the presentation (but who were not quick enough to nab one of the calendars for sale). These have now been dispatched. The featured images can be saved and framed if you want to have them as wall art after the calendar has done its job. This entry was posted in Blog, Digital Painting, New News, Photoshop. Bookmark the permalink. Thanks Phil – I will sort that out.